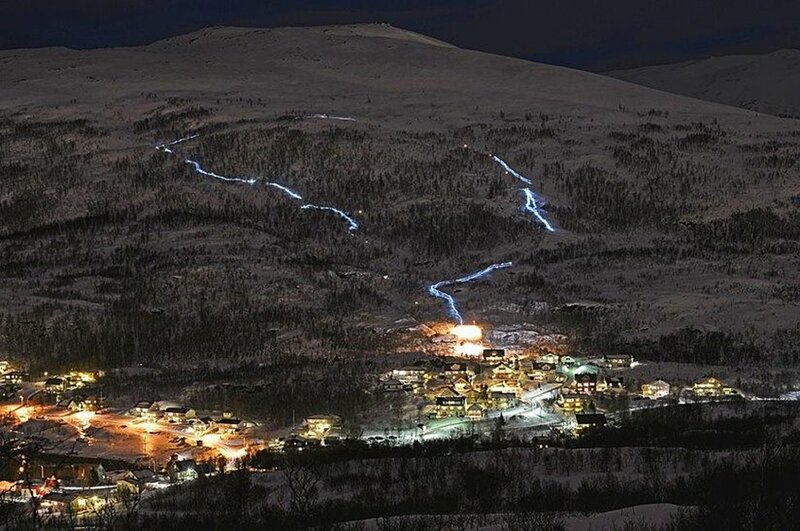 Because of the polar nights numerous cross-country ski trails are flood-lit, as this one located just outside Tromsø. Photo: Peter Jensen, Kalldfornia (“Cold-fornia”) Sports Club. Norwegians are “born with skis on their feet”, and many spend their free time on this healthy and peculiar hobby. There are thousands of kilometers of cross-country trails throughout Norway, and many are illuminated by floodlights. Winter darkness is not going to stop Norwegians from skiing! 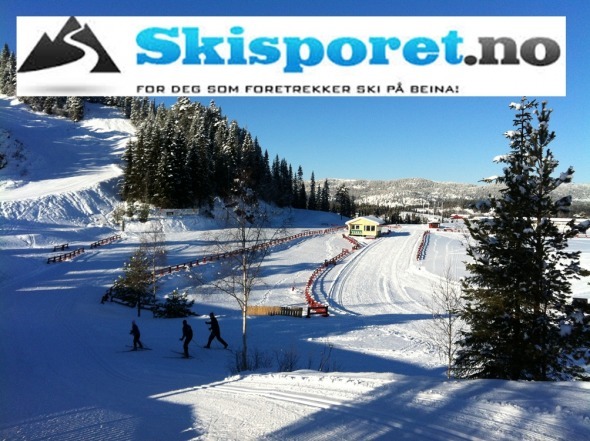 Cross-country ski enthusiasts can visit www.skisporet.no to get a good overview of hundreds of groomed trails, location and distance – and exactly when the trails were groomed. On top of the page you can search for a dream ski trail near you! Before you go cross-country skiing, you should read The Norwegian Trekking Association’s 10 rules on how to behave in a ski trail (Norwegian skiers are taking these rules very seriously). 1. Show respect and be kind to other skiers. 2. Be especially considerate and attentive to children and the elderly. 3. There is right-hand traffic also in the ski trail. 4. Skiers running downhill have right of way, whoever goes up must yield and give plenty of room for those coming down. 5. Whoever coming down a slope must alert, for example by shouting “Løype!” (“Trail!”). 6. On flat parts, both skiers must move half a trail (one trail), hold the ski rods out to the right. 7. The one who comes from behind has not right of way, but must pass on the outside. 8. Skiers at training session have no special rights. 9. It is not good practice to walk on foot in the ski trail. 10. Dog owners must take extra care and have full control over the dog.